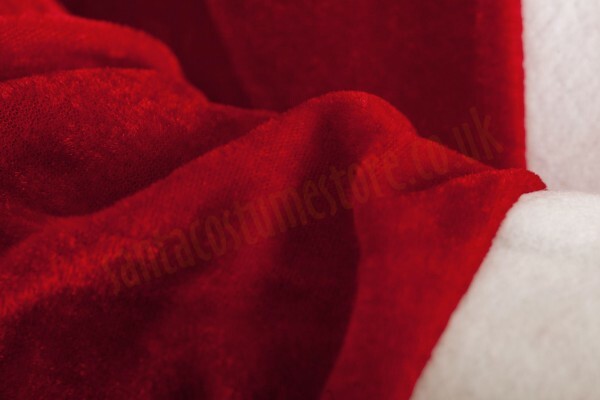 A plush Santa suit in a set including a beard, gloves, glasses, sack, boot covers, bell, artificial belly and belt – all of them absolutely essential items for Father Christmas! Made of strong, durable plush. The main part of the set, of course, is the Santa suit itself (jacket, wide trousers and hat). The suit is made of plush that’s nice to the touch. The trousers can be adjusted to fit thanks to the drawstring at the waist. The set includes a 7" (18 cm) beard featuring a moustache. 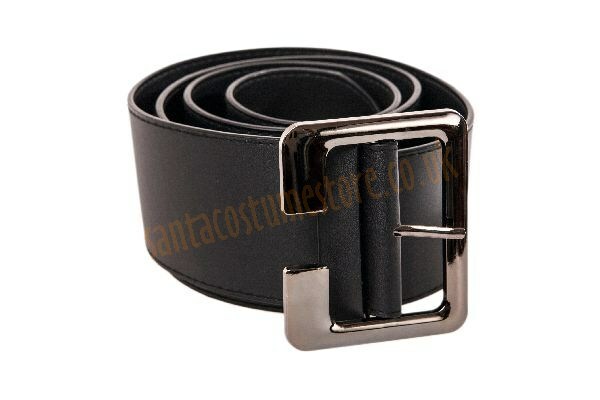 A striking extra that comes with this Santa costume is the black belt, made of artificial leather and fitted with a silver coloured metal buckle. Santa’s belt is 57" (145 cm) long, and 3" (7 cm) wide. 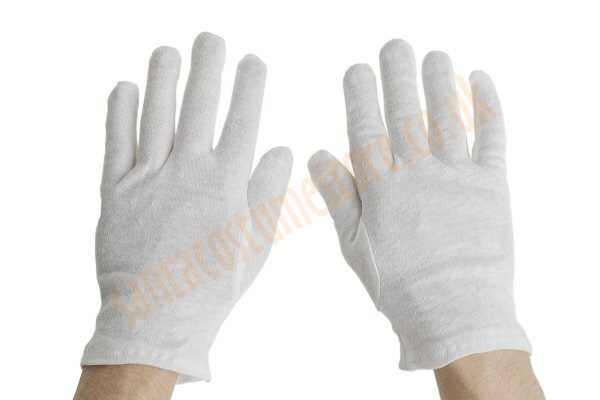 The set includes a pair of white cotton gloves, which add a touch of elegance to Santa’s hands – while also making sure nobody recognises for example a familiar ring. This addition to the Santa costume is worth making use of! Santa’s sack for presents is also pretty essential, don’t you think? 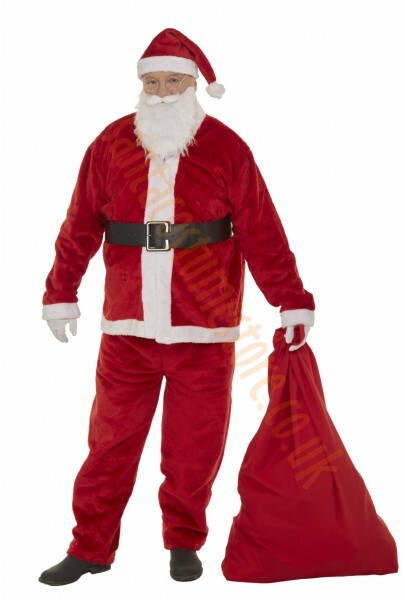 That’s why the set comes with a large red Santa sack, fitted with a drawstring and made of durable stretch. It measures 28" x 44" (70 x 110 cm). Is Father Christmas not too thin? Well, we have the solution to that! A small and light inflatable Santa belly. 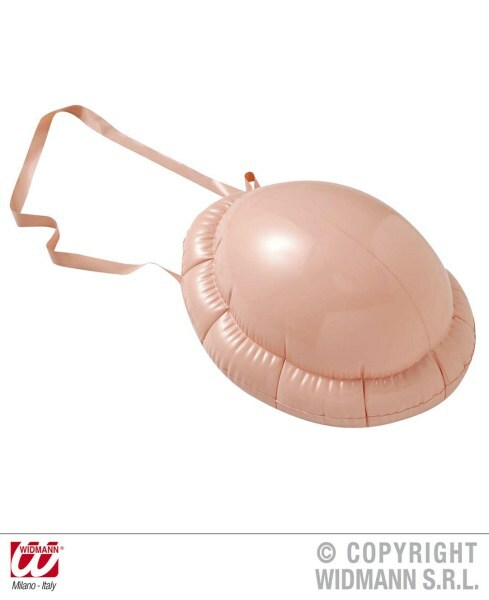 Once inflated you just put in on over your head, and after you’ve let the air out again it takes up no more room than a thin A5 exercise book. 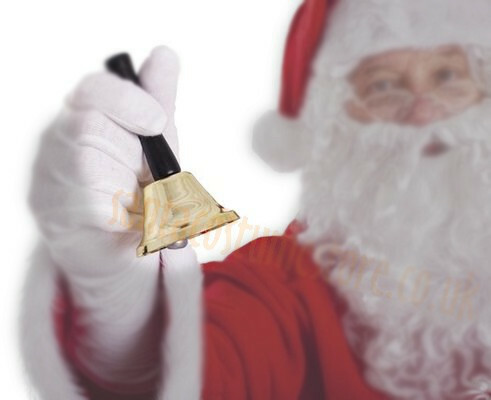 We also have an answer to the noise at that Christmas party – all you have to do is ring our bell. Which is precisely why we’ve included a metal Santa bell in the set. If unsuitable shoes, or – even worse – slippers are likely to poke out from beneath the Santa outfit, then we recommend covering them with boot covers. When worn they appear just like high-top boots. 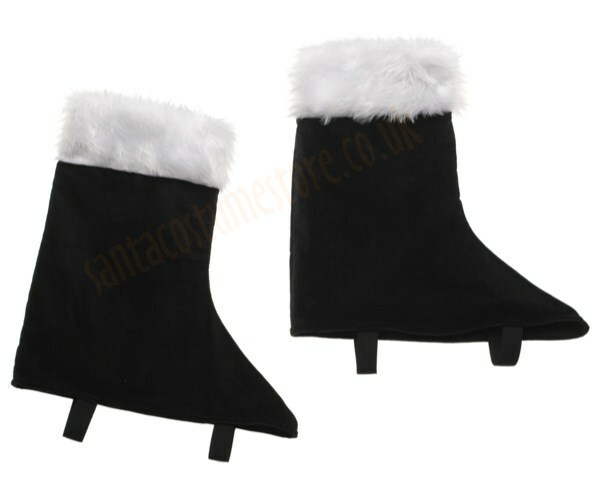 Our Santa boot covers are made of black velour and trimmed with faux fur. 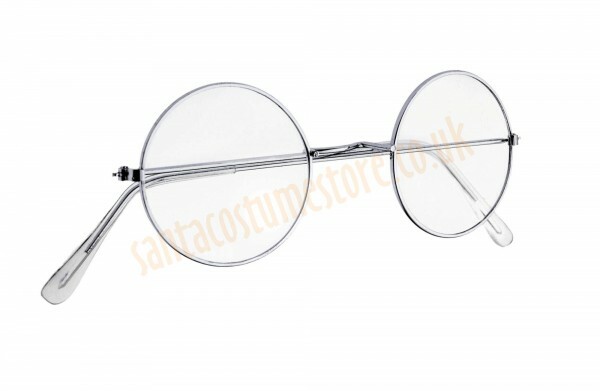 And finally, a pair of Santa glasses in metal frames, with circular neutral lenses. NB – Santa’s wig doesn’t fit beneath the hat in this set. 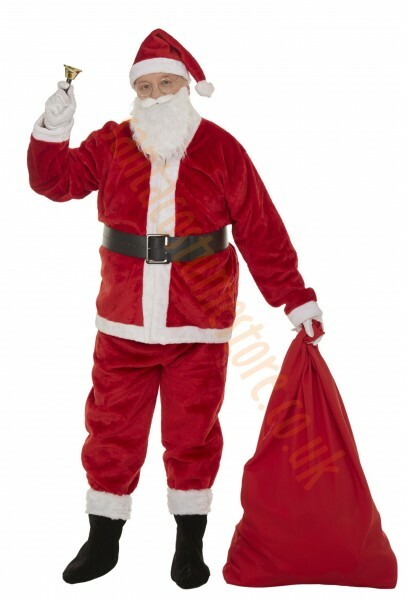 It might be an inexpensive Santa suit, but what an impression it makes!